TORONTO, ON--(Marketwired - December 11, 2013) - Like most Christmas songs, "If You're Not Here At Christmas" is filled with warm sentiments, chimes and plenty of holiday cheer. But what separates this Gold certified, chart-topping single from every other holiday song is its inspiration -- death and separation. Ralph Hamelmann, who co-wrote this song with Juno Award winner Gavin Bradley and Gemini Award winner Paul Bellini, drew from the passing of his father six weeks before the holidays (in 2010) and "being a perpetually homesick Newfoundlander". Hamelmann explains, "I wanted to write a song that would comfort anyone dealing with loss or separation during the holidays. Most of us will experience this at some point or another, but that doesn't mean we can't make the best of the holidays during these difficult times". "If You're Not Here At Christmas" is also North America's first gold certified holiday song to showcase a multicultural ensemble of indie recording artists. 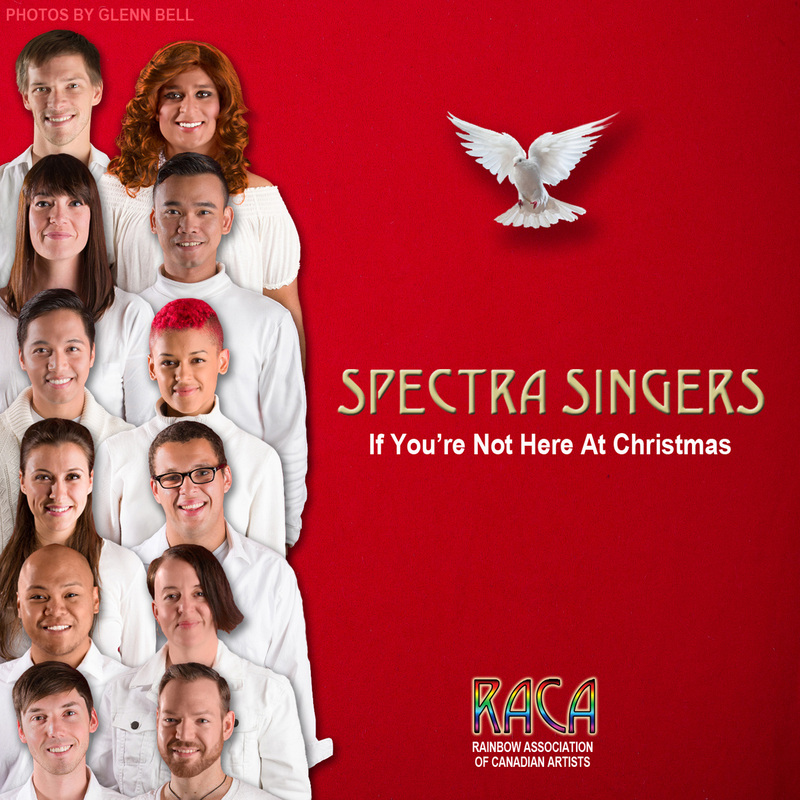 The Spectra Singers features 12 alumni from "Spectra Talent Contest" -- a registered non-profit organization that celebrates diversity in musical expression. Hamelmann explains, "When a diverse group of artists (such as the Spectra Singers) sings about something the masses can relate to, many social gaps can be bridged". 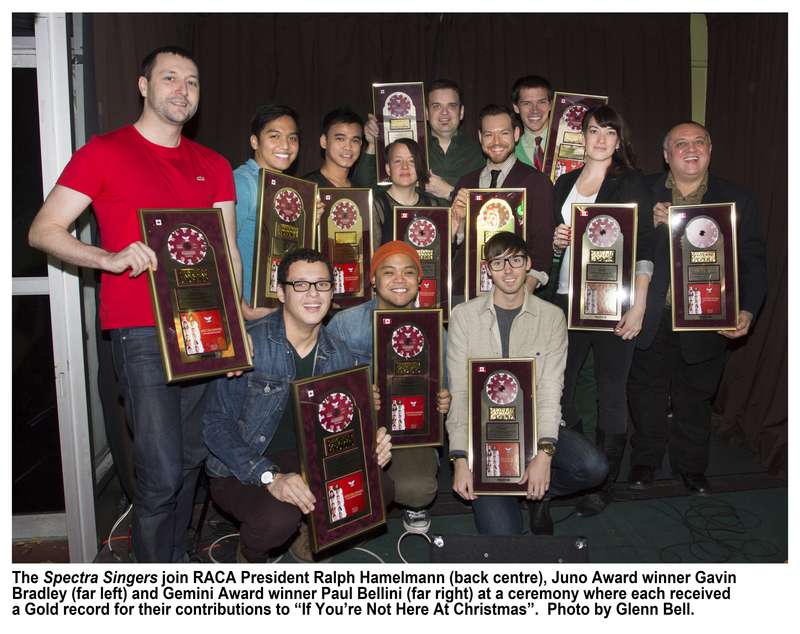 "If You're Not Here At Christmas" was initially intended as a fundraiser for the Spectra's parent company, the Rainbow Association of Canadian Artists (RACA). 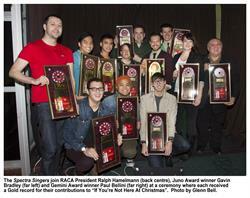 However, when two of the Spectra Singers were personally impacted by Typhoon Haiyan, RACA's board unanimously agreed to donate 75% of net proceeds from this recording to the Humanitarian Coalition's "Typhoon Haiyan 2013" emergency fund. Marky Rabanera, a Filipino Canadian who performs lead vocals on this single, is very pleased with the shift in fundraising. Rabanera explains, "Since the typhoon hit, no one has heard from my grandfather or aunt. My entire family is very worried about them. Knowing our recording will help the Philippines is giving me some peace of mind at a very difficult time". Paolo Pacampara, another Philippines-born Spectra Singer, says, "When we hear of disasters in the news, it's too easy to detach ourselves from the devastation. But my best friend's family is now homeless and thousands of people are frightened and suffering. I'm glad the Spectra Singers are in a position to make a difference. I'm hoping our song will raise awareness about this disaster and boost donations to this cause". 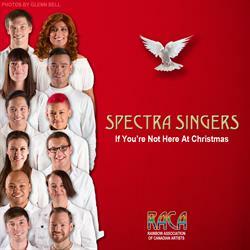 To purchase "If You're Not Here At Christmas" through iTunes, or watch the official music video, please visit www.SpectraSingers.com. "If You're Not Here At Christmas" was certified gold by Music Canada and hit #1 on Nielsen SoundScan's Canadian Singles Chart. The Rainbow Association of Canadian Artists is a registered non-profit organization that produces "Spectra Talent Contest" -- Canada's most inclusive talent showcase, and an upcoming TV series co-produced by Bell Media. In addition to producing a talent contest, RACA also offers free workshops and songwriting clinics to emerging vocalists of all walks.